A fantastic opportunity to own a Contemporary instrument made in Canberra and Oberlin, USA by Hugh Withycombe. Containing a two piece highly figured back with matching ribs, the quality of this instrument highlights the merit of purchasing a contemporary luthier's work. 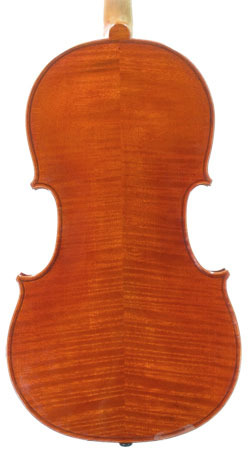 Although a larger sized Viola, it is finely made and lightweight. This viola boasts a deep and bold sound.